Do you ship to destinations outside the U.S. and Canada? 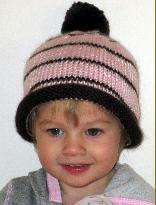 Please email nana@cutiepiehats.com before placing your order with information on what you want and your billing address. I will find out what the shipping charge will be and give you an estimated time of arrival. I can only ship international orders to the address of your Credit Card account. Cross-border shipments are subject to opening and inspection by customs authorities. Customs forms for international packages will list the value of your order's contents. If the order is a gift, it will be marked as such, but I am still required by law to list the value of the contents. Except for special orders, you should receive your hat(s) in 5 to 7 business days if you live in North America. I ship via US Mail or UPS. There is no additional shipping charge if you order more than one hat at the same time. If you order more than 3 of the same design and size at one time, I will contact you if there will be a delay because I do not have enough on hand to fill your order immediately. Yes, add gift wrap to your order and supply info about the occasion and gender. Any unworn hat can be returned within 15 days for a full refund or an exchange. If the return is caused by an error on my part, I will pay for shipping the returned hat. I ask for your name, address, email, and shipping address when you place an order. This information is used solely for shipping and billing purposes and is not shared with anyone else or any other organization. I need your email address to contact you, if I have questions about your order. Paypal manages your credit card information. Your browser has to accept cookies for the system to place your order over the Internet. I am having problems placing my order. The most likely reasons are that your browser either does not support cookies or does not support Java Script. Cookies are used by every shopping cart application. Make sure that you enable both cookies and Java.